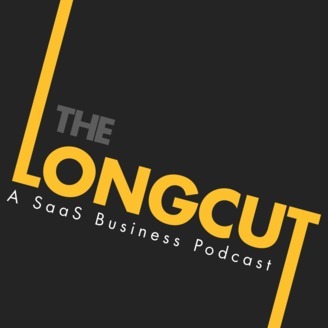 The Longcut breaks down the illusion of the overnight success by sharing the stories of those who have successfully created, launched, and grown software businesses to solve a problem. In the fiercely competitive world of SaaS, Ryan introduces you to the brilliant minds behind the businesses we admire. You’ll hear perils and pitfalls, stories of staggering success, candid conversations, and what drives these owners, entrepreneurs, and innovators forward. Key themes we’ll explore include product validation, getting your first customers, how much of a MVP to develop, how to know when an idea is worth pursuing, how to run a SaaS company, tactical insights into creating an MVP, what to do if you don’t have a technical co-founder and any other of your SaaS related questions. 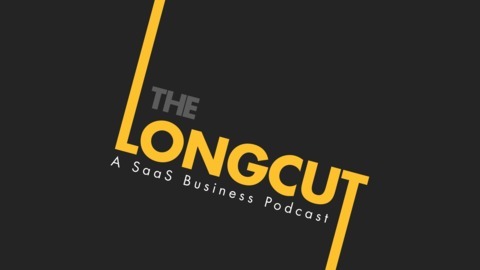 If you like Akimbo by Seth Godin, Tropical MBA, SaaStr, Startups for the Rest of Us, Rework, or the Startup Chat, you’ll love The Longcut. Welcome, Episode 11 of the Longcut Podcast, where we're busy poking holes in the myth of the overnight success. I'm your host Ryan, and today we're doing something a little bit different. I don't have a guest today; instead, I thought it would be fun to talk about MVPs and let you in on some of the secrets that we use to successfully create brand-new web products. I also want to give you an update on the podcast, because I'm going to be changing the format a little bit. It turns out, making a podcast is really time-consuming. In the past couple of weeks, I've had a little bit of a hard time balancing my regular job, which is building MVPs with my agency Booster Stage, and landing new leads for the podcast, doing interviews, etc. all that goes into producing great content. I'm not going to lie, I got a little behind. So, dear listeners, I hope you'll forgive me, but I'm going to take a couple of weeks sabbatical from the podcast to catch my breath. When we come back, I'm thinking about doing a seasonal model, where we'll record a series of episodes around a particular topic affecting startups. I'm also going to move to a biweekly publishing schedule, just to be kind to myself. I'd love to know what you think about that, and if you have any thoughts on what kind of topics you'd like to hear about, email me at Ryan@thelongcut.fm. Now, let's talk about how to create an MVP.